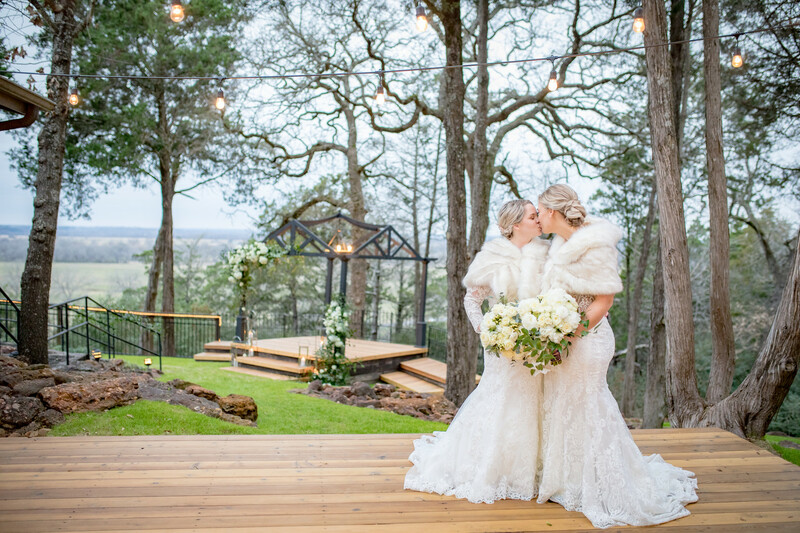 Mallori & Jessica (Jai) were wed on a beautiful Texas country hillside venue amongst guests from all over Texas. 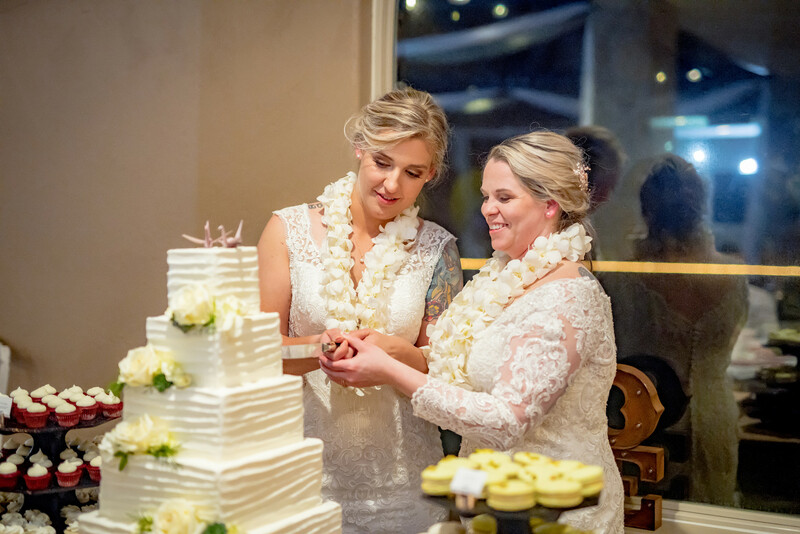 Mallori stunned in a low back, Madison James dress and Jessica chose a beautiful, long sleeved, lace gown from Maggie Sottero. 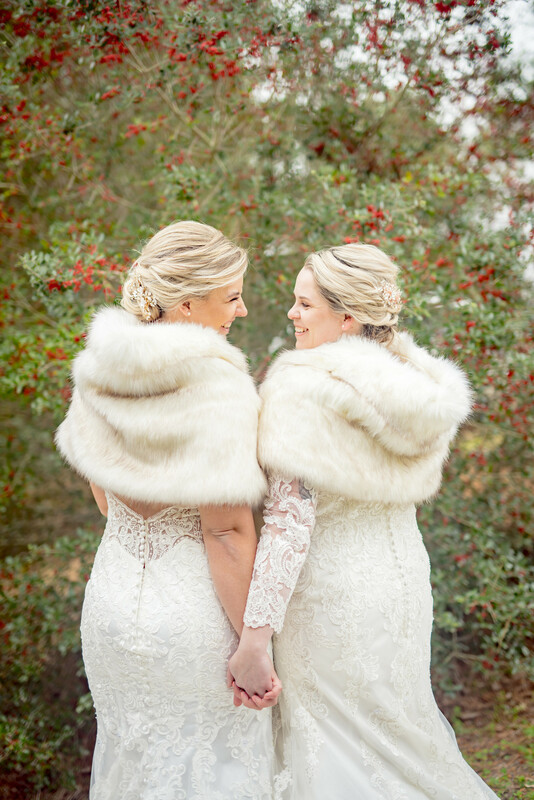 Their color scheme of dusty rose, white, and cream added a light, soft touch to the cold winter day. A love for sushi & Japanese culture played a small role in their decor. 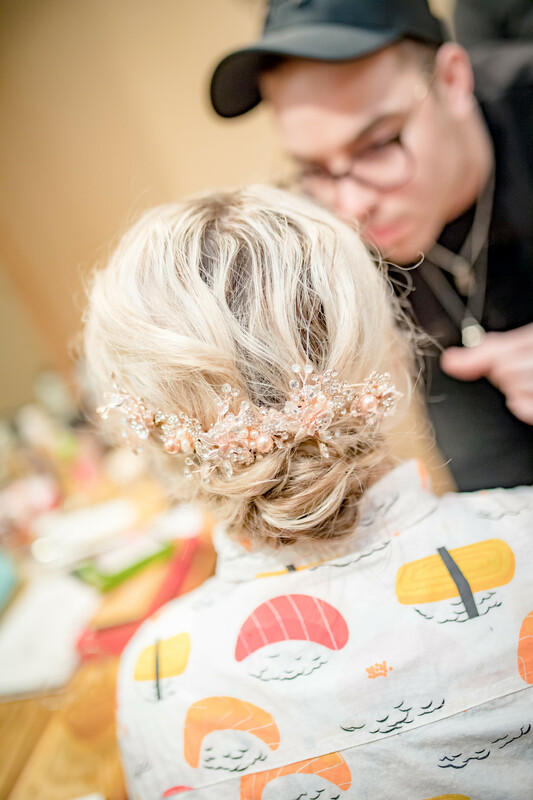 Jai wore a sushi patterned robe, they added Origami cranes as their cake topper, and their guest favors were custom made chopsticks! 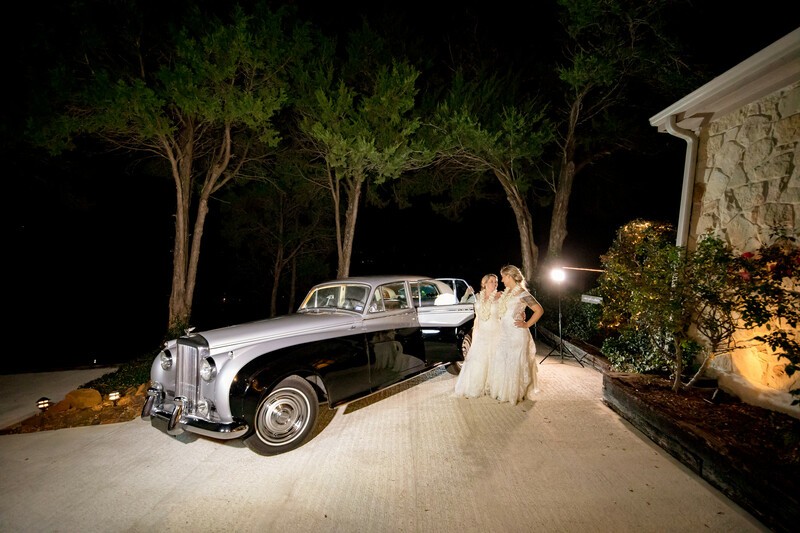 From geometric ceremony lanterns to a Rolls Royce getaway car, this wedding was a beautiful blend of rustic and elegance. 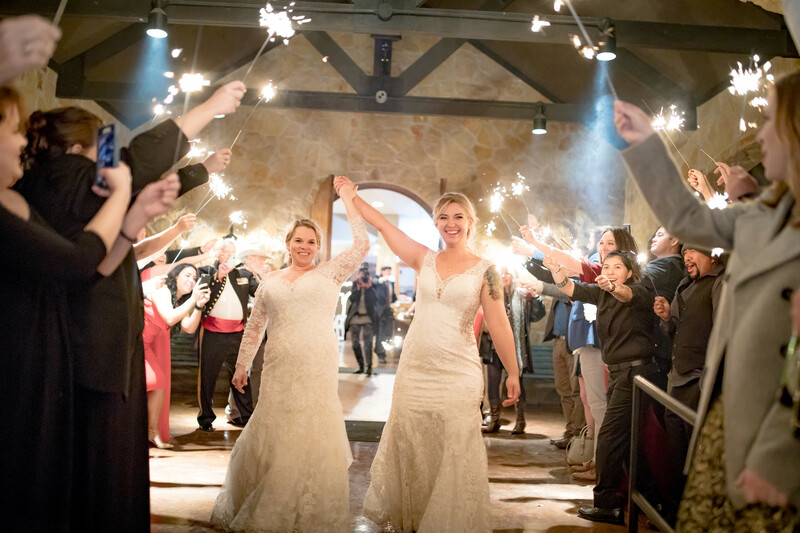 A1: We based our entire wedding around our rings. We fell in love with rose gold when we purchased our engagement rings. At that point, we knew we had to have rose gold elements throughout the entire wedding. 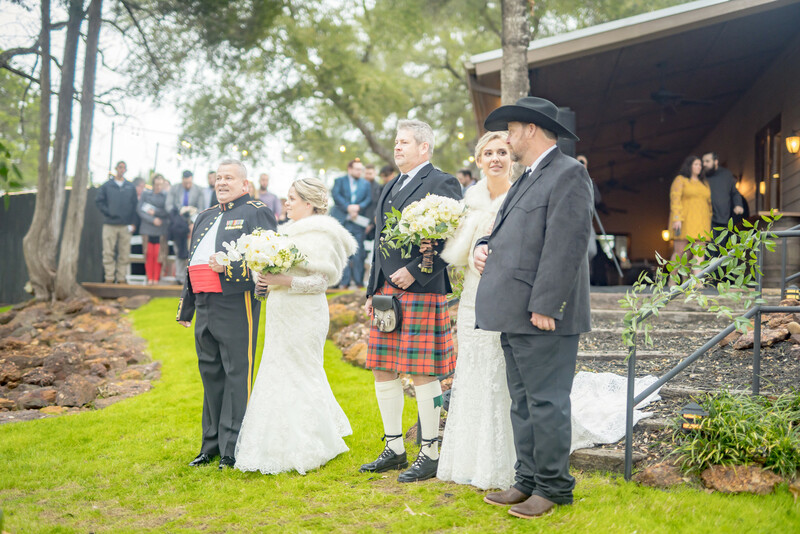 When picking a secondary color, we wanted to make sure it was easy for our bridal parties to match, especially with the addition of military uniforms. 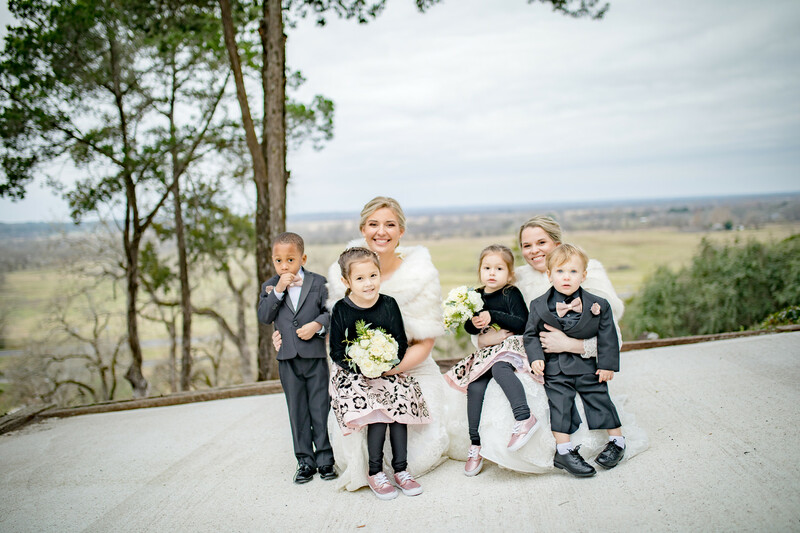 With members of our bridal party spanning from Texas to Alabama to Maryland, we felt as though black was the best option and WE LOVED IT! 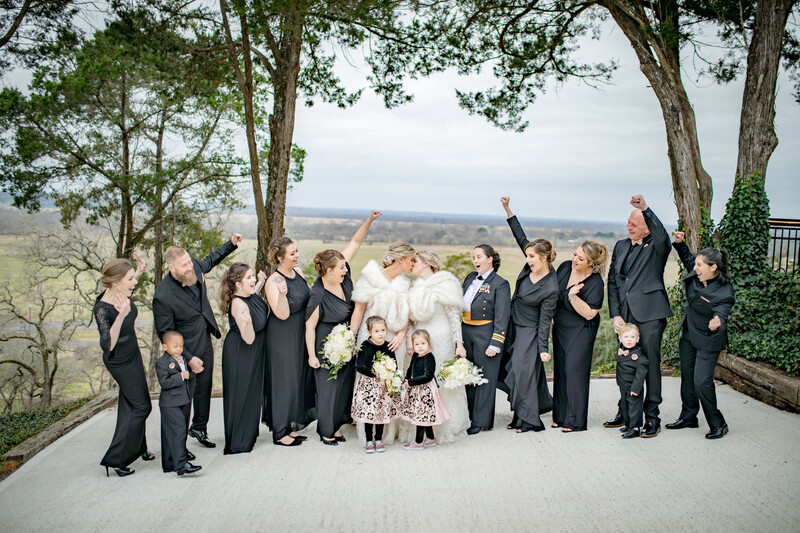 Inclusivity was a big theme of our wedding as well. We didn’t want any particular religious theme present as we feel as though love is not defined by religion. It is not bound by gender, religion, or culture. 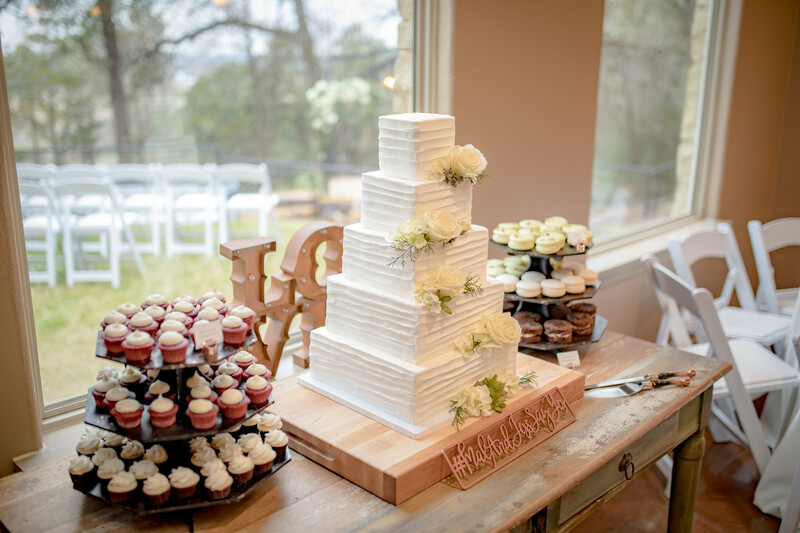 A2: Our florist and venue, Pop Blossom Floral and Red Ridge Receptions, did the majority of the decorating for us. Red Ridge was fantastic to work with as they offered us floor plans, place settings, napkin colors, etc. 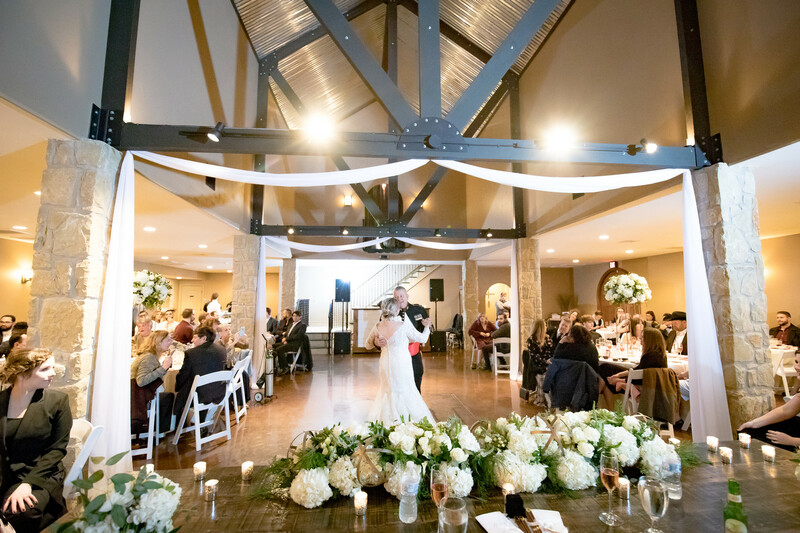 Both vendors worked together to make sure our vision came to life within our budget. After several meetings with our florists, they understood Mallori’s very specific vision and they hit it out of the park! 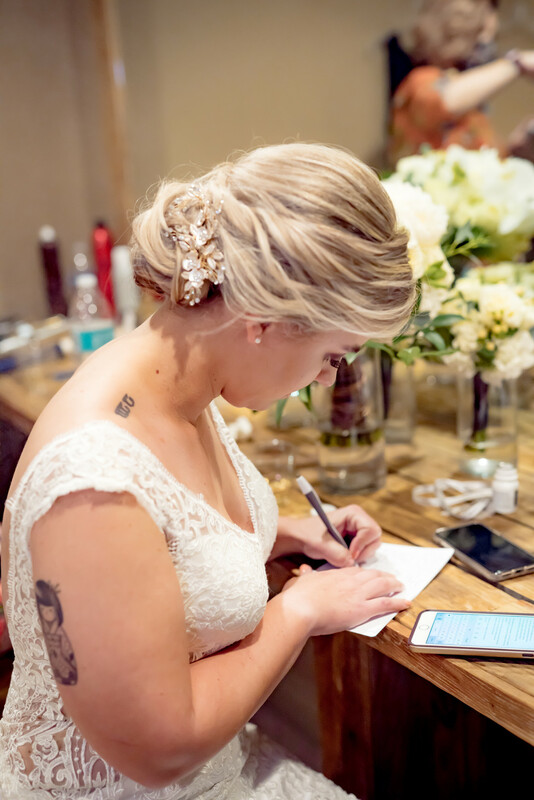 A3: The number one thing on the list of wedding planning for Mallori was the flowers. She had a very specific vision of what she wanted and it was the one thing she wouldn’t budge on. She knew she wanted white flowers and A LOT OF THEM. Hydrangeas were a must and there were so many. 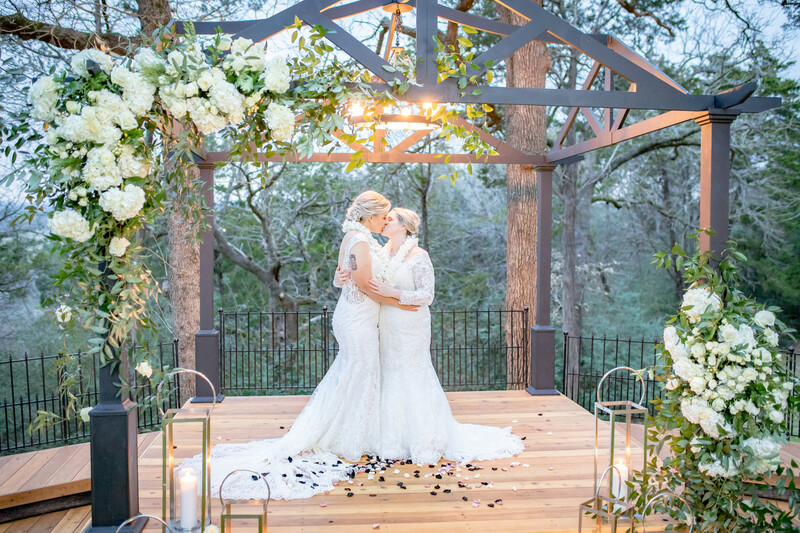 The pergola arch made by Pop Blossom was flawless and the centerpieces were to die for. 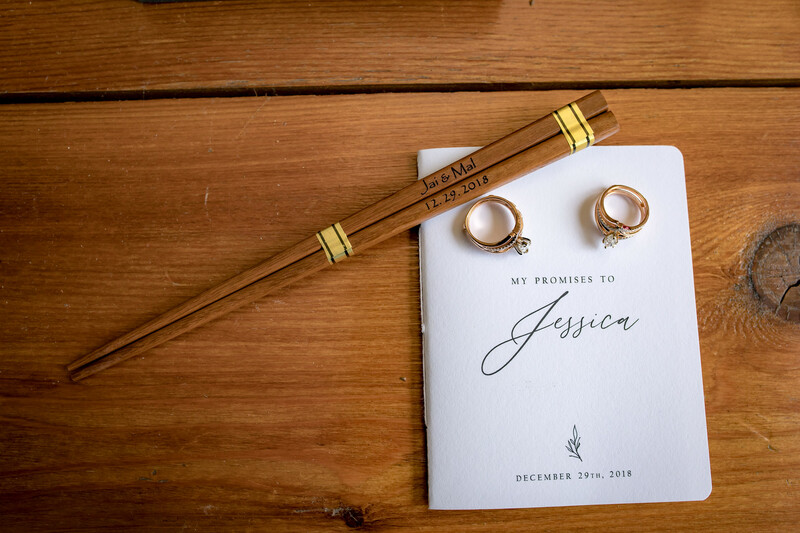 A4: We wanted to incorporate Japanese elements throughout the wedding since Japan is Jessica’s first love. With custom chopsticks as favors, a Japanese meal, and an origami paper crane cake topper, it was definitely a unique aspect to our wedding. Jessica and Mallori drove all the way to Alabama to get cases upon cases of Yuengling, an east coast beer that is unavailable in Texas, to share with all of their Texas friends, which was one of Jessica’s favorite parts. Another favorite was how much our vendors felt like family. 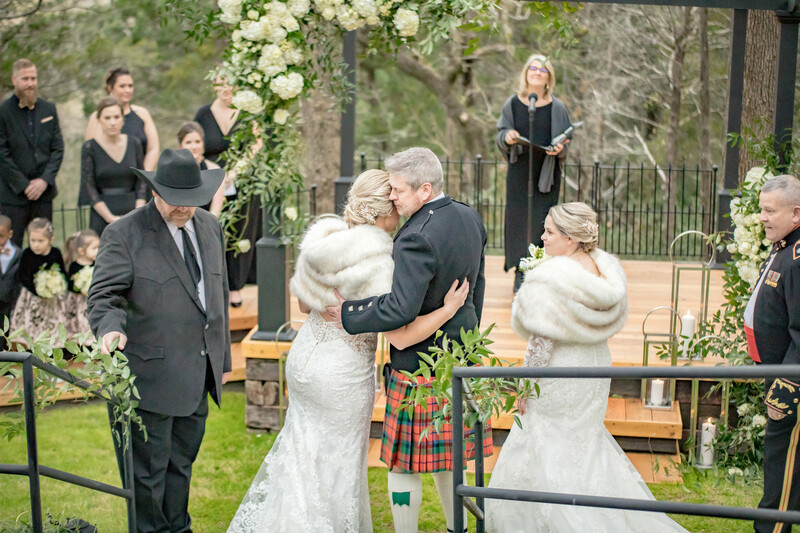 We had this fear that our vendors would feel like bystanders at the most important day of our lives but it truly felt like they were guests who we had known for years! 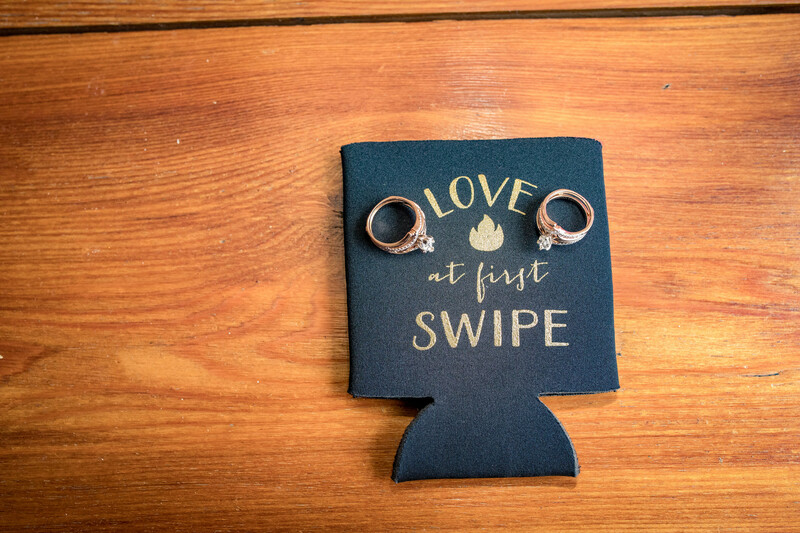 A6: We played on how we met with our wedding koozies that said “Love at First Swipe”. We had both gotten out of bad relationships and were looking to meet people, but not looking for anything serious. Jessica was living in Bryan/College Station and Mallori was living in Austin. We were at the limits they had set for one another, 100 mile radius and at the edges of each other’s age ranges. It was by chance that we happened to “match”. Our relationship turned serious very quickly, as we realized how perfect we were for each other. 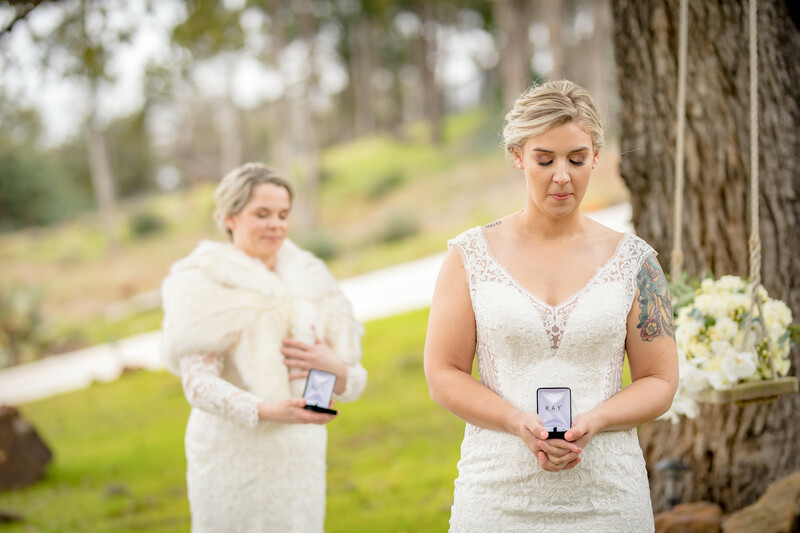 A little over a year later, Jessica proposed to Mallori. We went to Hope Graffiti Park in Austin, the place where Mallori had taken Jessica on her first trip to Austin. We met a friend there and we were walking around looking at all of the street art. There was a young man there and we somehow managed to keep getting in all of his photos. Mallori apologized to him and Jessica chuckled a little. 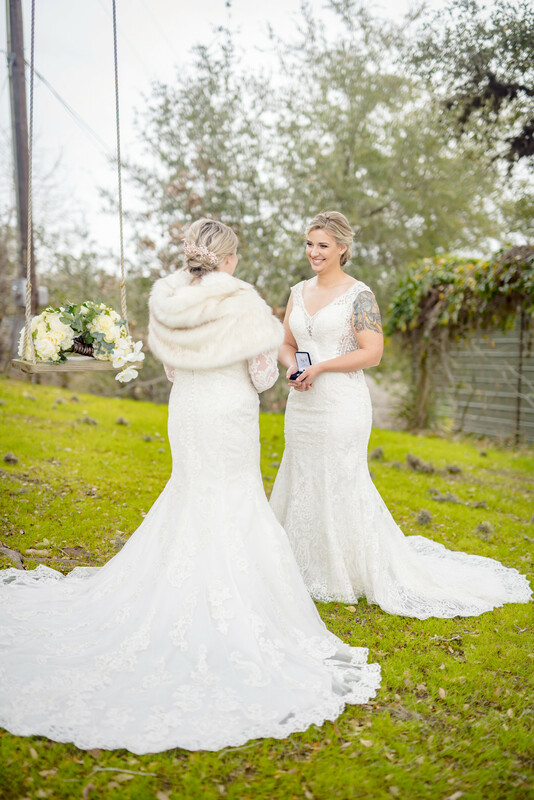 Mallori wanted to walk up to the top and walked passed a large wall, when Jessica stopped her and asked “Wait, what does this say?” Spray painted on the wall was “Swipe right for forever?” Once Mallori was able to realize what was going on, Jessica was on her knee with an engagement ring. They just stared at each other in silence when Mallori chuckled and said “Well, are you going to ask or just sit there in the dirt?” All Jessica could choke out was “The wall. Read the wall.” Mallori obviously said yes and the rest is history. 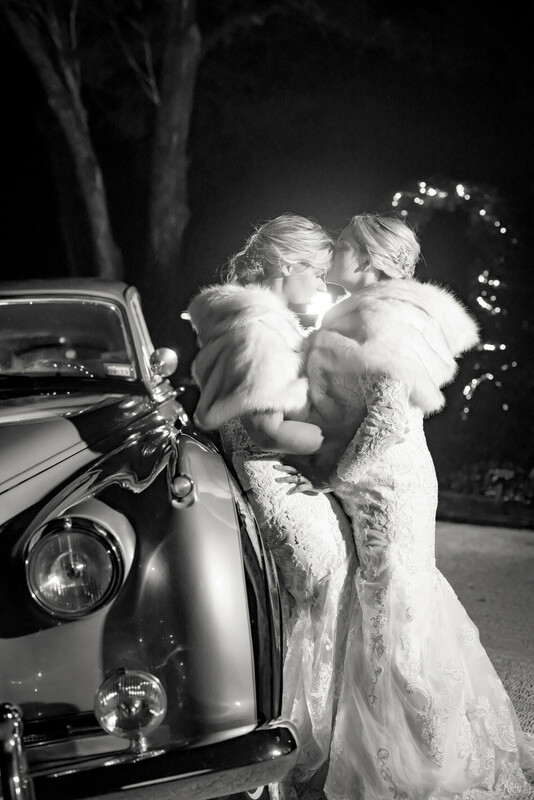 A7: For Jessica, the most anticipated moment was the first look. We were almost certain that we would start bawling when we saw each other but, surprisingly, we held it together. For Mallori, the most special moment was having all of our friends and family together from so many different walks of life. We had people from all over the country and many different cultures. We had drag queens, police officers, bartenders, veterinarians, military personnel, and the list goes on and on. 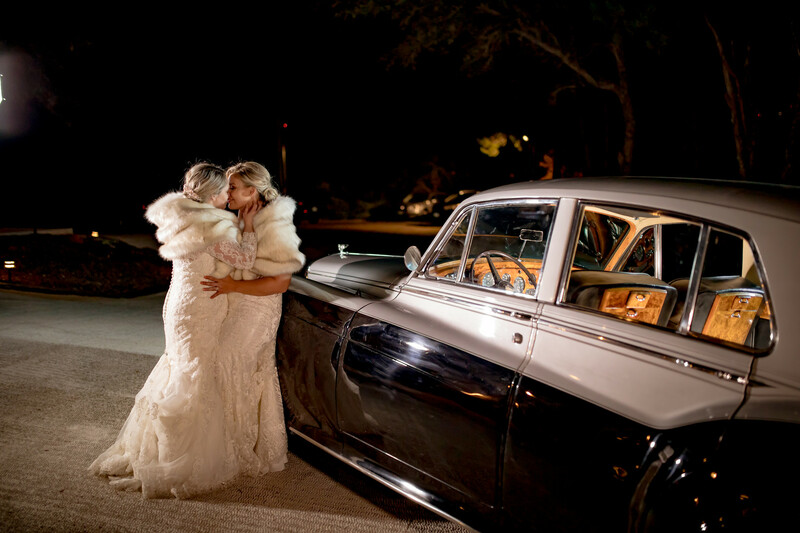 It was amazing to see so many different people coming together to celebrate the undeniable love of two people. A8: There are always people that are going to be upset they didn’t get invited to your wedding. They will get over it. Do not be afraid to dial down your guest list. We felt as though we spent the majority of our night going table to table, making sure we greeted each of our guests. 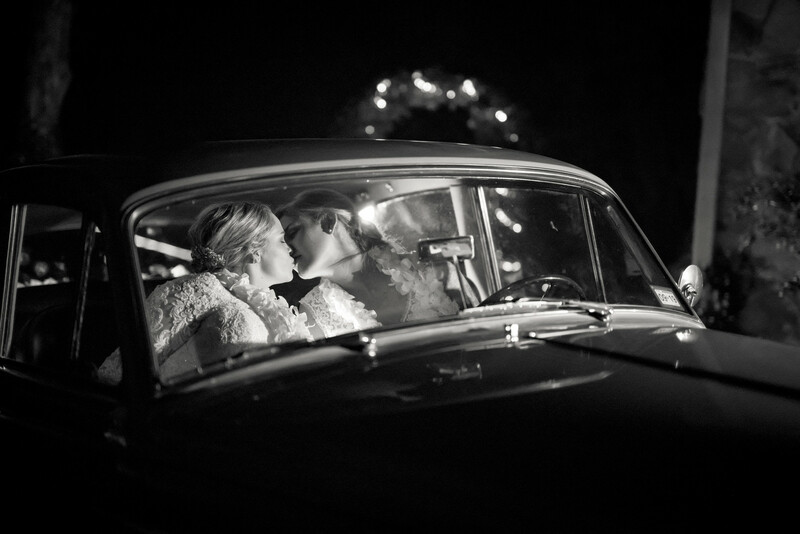 If we had a smaller guest list, perhaps we would have had more time to enjoy the moment. Dress Store: That’s My Dress!